Medicare ZPICs | Michigan Healthcare Audit Lawyers Wachler & Associates, P.C. Contact Ann Arbor, Michigan Litigation Lawyers Wachler & Associates, P.C. Zone Program Integrity Contractors (ZPICs) and Program Safeguard Contractors (PSCs) are contractors responsible for the implementation of the Medicare Benefit Integrity Program. While ZPICs and PSCs perform activities very similar to other Medicare contractors, their focus on the detection and prevention of Medicare fraud broadens the potential implications that could arise from a ZPIC audit. Eventually ZPICs will be the only contractors responsible for the Medicare Benefit Integrity Program. As PSC umbrella contracts expire, the Centers of Medicare and Medicaid Services (CMS) will assign all PSC functions to seven ZPICs. Each ZPIC will be responsible for all benefit integrity claims in its geographic zone. In the Zones where they are already operating, ZPICs are very active. When CMS awards an umbrella contract to a ZPIC, two task orders are simultaneously awarded. 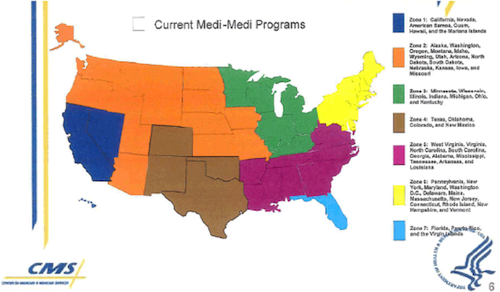 Task Order 1 is for Medicare Parts A, B, DME, Home Health and Hospice. Task Order 2 is for Medicare/Medicaid Data Matching Projects. CMS has the discretion to award future task orders that relate to fraud, waste and abuse detection and prevention. Providers nationwide should be aware of current ZPIC activity and prepare for its continued expansion. ZPICs perform similar audit activities as other Medicare contractors, but with a reactive and proactive focus on the identification of possible Medicare fraud. ZPICs employ "innovative" strategies to engage in the early detection of fraud. The strategies include data analysis, pursuing proactive leads from other Medicare contractors or other sources such as the Fraud Investigation Database (FID), law enforcement, news media or the Internet. Once a ZPIC initiates an audit, it has the authority to conduct prepayment and postpayment medical review, perform announced and/or unannounced onsite audits, interview staff and beneficiaries, and suspend provider payments pursuant to approval from CMS. ZPICs also have the authority to refer providers and beneficiaries to law enforcement, refer providers for exclusion from the Medicare program, and utilize statistical sampling and extrapolation to determine overpayment amounts. A ZPIC may initiate a pre-payment or post-payment audit. A pre-payment audit involves a medical record review to determine the medical necessity or reasonableness of the service before the claim is paid. A post-payment audit involves the review of claims that were previously paid by the Medicare contractor and may lead to a recoupment or withhold of current Medicare payments to offset the alleged overpayment identified by the ZPIC. ZPICs employ statistical sampling and extrapolation in many post-payment audits. ZPICS generally utilize statistical sampling by randomly selecting a sample of a provider's claims for review. Based on the review of these claims, the ZPIC determines an error rate, which is statistically projected to the provider's universe of claims. The use of statistics in ZPIC audits can have a devastating impact on providers because it drastically increases the recovery demand. Therefore, it is essential that providers engage legal counsel and statistical experts to analyze the ZPIC's statistical sampling and extrapolation methodology. Once a ZPIC identifies an overpayment, the ZPIC will refer the overpayment to the affiliated claim processor. The claim processor will be the provider's fiscal intermediary, carrier or Medicare Administrative Contractor (MAC). The claim processor then will send the provider a demand letter and will institute recovery efforts. In an effort to assess the results of the ZPIC audits, CMS provides incentives to both ZPICs and claim processors to track the amounts of overpayments collected. Steps to surviving a ZPIC audit must start before the actual audit begins. Providers must be aware of ZPIC activity and take proactive measures to ensure that their practices are properly prepared for an audit. Proactive measures providers should take to prepare for an audit include monitoring ZPIC and other contractor activity and developing a compliance plan that will promote appropriate documentation standards and periodic review of those standards.